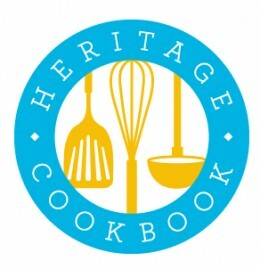 If you live in my neck of the woods and are interested in placing an order for my shortbread cookies, you can find pricing and all of the information you need on my Shop Olive My Love/ Contact Olive page on the very top menu of my site (beside Grocery Store and Farmers Market Directory) or by clicking here: http://olivetoeat.com/?page_id=460. Please take note of my Christmas order cut-off dates below. Last date to place an order to guarantee delivery before Christmas will be: Sunday December 7th, 2014. Last week of delivery before Christmas will be: Monday December 15th to Friday December 19th. If you have missed these dates please contact me. I may have some frozen dough still in stock and will try my best to accommodate you. that I will be launching at Three Wishes Shabby Chic & Vintage this Sunday November 9th, 2014 from 12:00 pm to 4:00 pm at 11 Barry Avenue in Streetsville (across from the Streetsville United Church parking lot). Remember me raving about how dreamy the Three Wishes shop is? Now Christine is launching her own line of handmade lavender products that are absolutely Bloomin’ Lovely! Christine uses local Ontario lavender and packages in pretty vintage containers. She has graciously invited our artisan friends to join the official launch of Bloomin’ Lovely Lavender at Three Wishes. And we are inviting you to join us (please RSVP [email protected] or the Facebook event page). Taste brilliant homemade jellies and salsa made by my friend Debbie Crook (the Canning Queen). Admire the beautiful work of my talented friends Pilar Rey de Castro (artist, art teacher, and illustrator) and Eleonora Gattesco Roberts (artist and interior decorator). Kate Mulroney’s Pearl Button custom-made bunting, cushions, and quilts are adorable. Please join us. I put a whole lotta love into my line of artisanal cookies. I make them by hand in small batches, using a family-favourite recipe. Whenever possible, I use the finest, natural, local ingredients like Stirling Creamery European-Style Churn 84 Butter (artisanally crafted in Stirling, Ontario since 1925). My standard flavour is classic Dark Chocolate Chip – the recipe that started the cookie dough rolling. Cut the frozen log into 1/2″ thick slices (or roll the slices into balls) and bake. For Christmas, I will also be making Milk Chocolate Chestnut (creamy milk chocolate with a subtle hint of roasted chestnuts) and Dark Chocolate Skor (dark chocolate and sweet Skor toffee bits). Dark Chocolate Skor spreads out a bit during baking so slice only. Follow my blog and watch my flavours change with the seasons. I have an ultra-feminine recipe tested for Mother’s Day and a lovely summer flavour that my taste testers rated as “awesome”. It is so fun using the dough as a canvas to play around with new flavour combinations. You can order my cookies freshly baked or as no-frills, frozen slice-n-bake logs to take out of your freezer when you are ready to bake yourself. Serve made-from-scratch goodness without the stress and mess of cooking it yourself, and no one the wiser (I won’t tell!). Stock up on some dough for Christmas or scratch a few gifts off your shopping list. The dough is well-wrapped and can be stored in your freezer for at least a month. The baked cookies can also be frozen, if you wrap them well. Frozen logs are 6″ long and make one dozen 1/2″ thick cookies (diameter and thickness of baked cookies varies depending on ingredients). I will be selling freshly baked cookies in half dozen bags at the event and taking orders for frozen logs or freshly baked (see packaging options below), to be delivered to you at a later date. Have an elderly parent, under-the-weather friend, or someone special that you want to send a little love to? Order an Olive-O-Gram and I will deliver beautifully packaged, freshly baked cookies to their doorstep. Packaging options for freshly baked cookies include one dozen or two dozen cookies in a white scalloped-window box tied with a pretty ribbon. Want to make it an extra special gift? Choose a cellophane-wrapped, cookie-filled vintage milk glass container. Click here for gorgeous ideas for displaying milk glass in your home – thank you cobistyle! Boxes and milk glass will be tied with a charming ribbon and attached with a label card of your choosing (see below). Milk glass containers vary in shape and size and quantities are very limited. Delivery charges may apply. Local deliveries only. I am just starting up my very small-scale business so quantities will be limited. Come on out to Three Wishes on Sunday to have a taste, shop, or place an order to avoid disappointment. It will be a great chance to see Christine’s shop – brimming with vintage treasures – before it closes for the winter, and to meet my talented circle of friends. 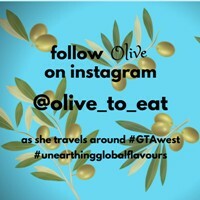 Right now I am so busy getting ready for the event but I will post further ordering details on my www.olivetoeat.com site as soon as possible. If you can’t come to the event but want to place an order, please send me an e-mail through my site ([email protected]). Thanks!